At a time when House music seems so freakin’ popular that everyone has forgotten they hated it back in 2009, when they were busy jumping around to Dubstep; one man will tell you that was never the case with him. 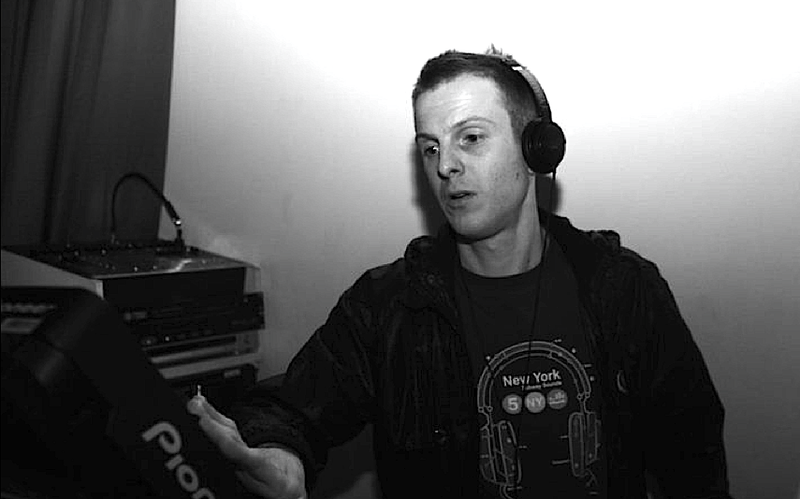 His name is Jamie Funk, and even though on paper he seems relatively new to the music scene, he has been involved in dance music as far back as the early nineties. His carefully crafted strand of Deep House has seen him gain regular releases on the House label 1trax – part of the MN2S label group – and also sees him play at parties all around Europe. Jamie talks exclusively to Ventsmag about how the music scene has changed over the years and how having a record producer for a father helped develop his technical skills in the studio. You seem to have a good consistency with production and releases. How do you keep things interesting and exciting? Have you ever had low points when you’re lacking inspiration? Well, I tend to write a heck of a lot of tunes for one, sometimes I may start at least 5 tracks in a week and maybe only be happy with one of them. The ratio of tracks that actually make it for release is very small compared to what gets put out, this is something I’ve been trying to sort out over the years in terms of getting more stuff finished. I get very bored of tracks easily so I tend to be working on about 6 tracks at once, slowly tweaking them to fit. Some tracks just come together really quickly and you’ve got most of the track done in a few hours or a day, then its all about the mix down, while other tracks can take weeks or months to finish. Yeah I do lack inspiration sometimes and it can get you down. When that happens I like to take a break and maybe go out partying somewhere, hear a DJ I’m into, then get some vibes from what I hear or visit friends and check out what they are listening to. Or, I usually go out painting graffiti (my other main passion) around London – strictly legal of course! I’ve been painting graffiti for well over 20 years now and love it just as much as music. Everybody has their own way of gaining inspiration and mine normally comes from hearing new quality music that I like or generally feeling good about myself in everyday life. Your father was a very successful record producer for artists such as Elvis Costello and Nick Lowe. How did growing up around someone who was heavily involved in music draw you into producing your own stuff? My dad and a lot of his mates were all musicians or producers/engineers, so I was very lucky to be around that environment from an early age. I didn’t start making my own music until around 2002/2003 and unfortunately dad had left the music business quite a while before that so I didn’t spend too much time in studios with him as a young adult. I wanted to write music for years before I actually got off my arse and bought some equipment to do so. I used to hang out with Donna Dee of UK Garage fame when I was around 17 and help her with the Garage tunes she was making at the time. I knew I wanted to do music, I just never had the money for equipment as it was all so expensive in those days. When I started making my own stuff, my dad helped me massively in terms of production skills and rhythm; he showed me how to use compressors and EQs and generally how to get a nicer soundscape and mixdown. He has an amazing ear and whenever I play him my tracks he can pick out something that could be better, it could be an EQ boost or something that needs to be panned more. 95% of the time he’s right, you can only get that kind of ear with experience. You started out in music, playing on pirate radio stations in the 90s.What would you say are the biggest differences in the dance music scene these days compared to back then? Music in general is a lot more accessible nowadays. In the 90s, for me it was all about going to Black Market or Lucky Spin to get music, usually made by a UK producer or DJ, especially early jungle, now I don’t need to leave my house to get the weeks new music. The scenes were very small in those days compared to now, in my opinion it is definitely better now. As a producer you can have fans and people that like your music all over the world, without having to actually leave your bedroom and go anywhere.. The first single with your collective ‘Kameleon’ is called ‘Confetti’, and it was released recently on 1trax . How did you decide to start making music together as a collective? We’ve all been close mates for over 10 years now, but basically in terms of production and in terms of Kameleon we got together during the early Minimal House/Techno sound circa 2006/2007. I was making House on my own, Si was doing the DnB stuff and Nic & Kaleb were playing in Ibiza every summer. Gradually over the years, as the sound has become more housey, we’ve come together through a love of this progression. It started by spending Friday nights on a social vibe in each others’ studios and it just went from there to start our own thing. We’re still trying to find our sound as we like a lot of different styles of dance music. Simon from the Drum n Bass group ‘Vicious circle’ is a member of the collective. How did having a producer who was part of such a successful production group influence the direction of the music? Well I wouldn’t say Si influences the direction of the music strictly, but he definitely brings a great dynamic and perspective to the making of our music overall. Drum and Bass is naturally made differently to House – you know, technically. There are more loops, live drum breaks and samples. There aren’t so much in House. Si definitely is a vital part of our thing though, we all in our nature bring a different element. I mean, Nic and Kaleb are wicked DJs and me and Si are predominantly producer/engineers as well as DJs. What sets do you have lined up for this summer? You can catch us all playing at various parties this summer around Europe. Nic & Kaleb are Zoo Project residents in Ibiza. For DJ bookings and enquiries contact fairley.rose@gmail.com. Follow Jamie Funk on Facebook, Soundcloud, Twitter, Resident Advisor.